NIU’s PI Academy for Research and Engagement will bring nine world-class scholars to campus next month for public presentations on their research efforts and to provide mentoring to select junior faculty. “These scholars represent a considerable amount of intellectual firepower, and another 11 such scholars will be visiting campus throughout the year,” said PI Academy Director David Stone, NIU associate vice president for research. The PI Academy program provides NIU junior faculty members with in-depth professional development opportunities in the areas of research and engagement, including how to become a successful principal investigator, how to work with external partners and how to develop engaged-learning opportunities for students. “We hope that during this process the scholars and junior faculty form long-term relationships that build our faculty members’ networks in their respective fields and help them to advance professionally,” Stone said. About 20 junior tenure-seeking faculty members at NIU were selected for the program this year through a nomination process. The professional development component of the program provides information and insight on a wide range of activities related to becoming a successful investigator, including competitive positioning, grant writing, project management, research compliance, responsible conduct of research, working with sponsoring agencies and sustaining funding over the long-term. Faculty members also learn how to develop and sustain successful working relationships with NIU units responsible for administration of grants and contracts, including the Office of Sponsored Projects and Grants Fiscal Administration. Additional training provides a framework for understanding the process of engaged learning, as well as specific information about accessing NIU resources for incorporating engaged learning into their research and teaching. Noon Tuesday, April 2, Wellness Center 2305 – Tom Talavage, professor of electrical and computer engineering at Purdue University. Talavage’s research interests include functional neuroimaging, statistical biomedical-image and signal processing, signal detection, audition, speech, language comprehension and neural prostheses. He is mentoring Matt Wilson in the School of Allied Health and Communicative Disorders. 3 p.m. Thursday, April 3, Altgeld Hall 315 – Kirstin Grønbjerg, Efroymson chair in philanthropy at Indiana University. 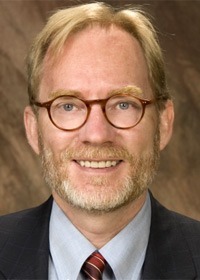 Professor Grønbjerg’s interests focus on the nonprofit sector. Her current work examines the scope and community dimensions of the Indiana nonprofit sector. Other research and publications have examined the American welfare system, nonprofit funding relations, nonprofit capacity and nonprofit data sources. Grønbjerg is mentoring Alicia Schatteman in the Department of Political Science. 1:30 p.m. Tuesday, April 8, Graham Hall 223 – Psychology Professor John Pryor of Illinois State University. Pryor’s primary areas of research interest are sexual harassment and stigma. He is mentoring Stacy Kelly in Department of Special and Early Education. 6 p.m. Thursday, April 17, Anderson Hall 247 – Professor Chad McEvoy, graduate program director in the Department of Sport Management at Syracuse University. His research focuses on revenue generation in intercollegiate and professional sport. He is working on numerous research projects related to ticket-sales strategies, ticket pricing in sports and factors affecting sporting-event attendance, among other topics. McEvoy is mentoring Steven Howell in the Department of Kinesiology and Physical Education. 11 a.m. Wednesday, April 23, Wirtz Hall 204 – Professor Tamar Heller, director of the Disability and Human Development Department at University of Illinois at Chicago. Her research interests include health and wellness, later-life family caregiving and public policy and programmatic interventions to improve the life of adults with developmental disabilities as they age. Heller is mentoring Jennifer Gray in Public Health. Time and location TBA, April 22-23 – Gary Kreps, director of the Center for Health and Risk Communication at George Mason University. His areas of expertise include health communication and promotion, information dissemination, organizational communication, information technology, multicultural relations, risk/crisis management, health informatics and applied research methods. Kreps is mentoring Jimmie Manning in the Department of Communication. Noon Monday April 28, Psychology-Computer Science building, Room 412 – Psychology Professor Victoria Banyard of the University of New Hampshire. Banyard conducts research on the long-term mental health consequences of interpersonal violence (including resilience in survivors) and on community approaches to prevention of interpersonal violence. She is mentoring Lisa Paul in the Department of Psychology. Time and location TBA, Sunday, April 30 – Professor Carla Hudson Kam in the Department of Linguistics at the University of British Columbia. Her areas of expertise include first- and second-language acquisition, developmental language production and processing, gesture and language learning and processing and non-linguistic constraints on language learning. Hudson Kam is mentoring Karen Lichtman in the Department of Foreign Languages and Literature. For more information, call (815) 753-9471 or email piacademy@niu.edu.